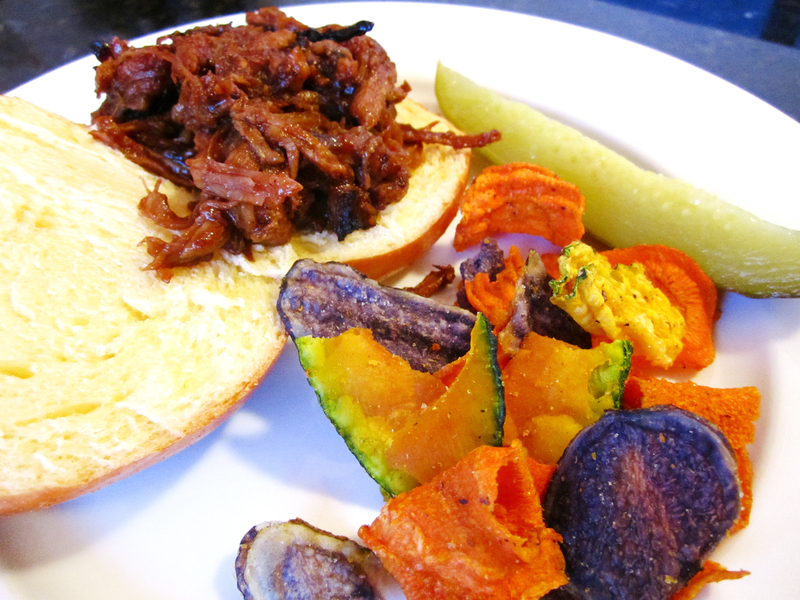 Urban Carolina pulled pork on challah with Terra Exotic Vegetable Chips (kabocha, carrot and blue potato) and a pickle. 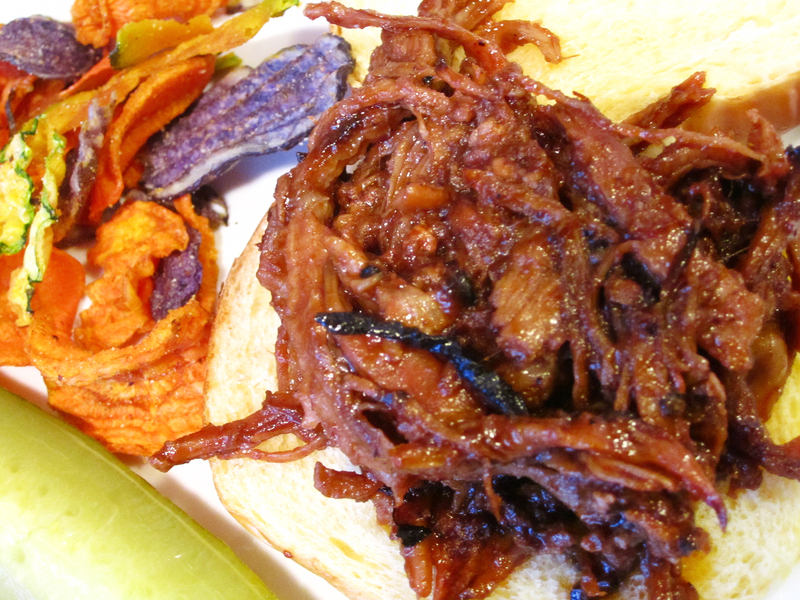 The sauce is homemade and the pork is hand pulled. "Urban" refers to the fact that we had to cook it in a broiler on very low heat for several hours because we can't grill in the City. Recipe to be posted. When will you post the recipe? I have been patiently (yet eagerly) waiting... like a little kid waiting for Christmas! Have you forgotten to post the recipe? Please post soon!